Many are familiar with whole coconut oil (solid at room temperature) but have no experience with Fractionated or Light Coconut oil. If you haven't tried it you're missing out on a truly great carrier (fixed) oil product. All carrier oils consist of a class of molecules called fatty acid triglycerides, meaning they contain three, long-chain fatty ester groups. Most plant derived carrier oils consist entirely of what are called "unsaturated" fatty acid triglycerides, meaning they have one or more carbon-carbon double bonds in their long fatty ester side chains which are typically 16 to 20+ carbon units long. The double bonds in these side chains are susceptible to oxidation and their reactions with oxygen are what produce the rancid odor that is common in carrier oils. Whole coconut oil also has some long unsaturated fatty acid triglycerides (which is why it is a solid at room temperature). But the coconut oil is special in that it has a relatively high percentage of shorter length (C8, C10), completely saturated (no double bonds) triglycerides. These smaller fatty acid triglycerides are separated from the whole coconut oil to give us what is known as "Fractionated Coconut Oil." The separation process is non-chemical and involves a simple physical separation process so there are no chemical residues to worry about. 1. It remains liquid at low temperatures. 2. It contains no double bonds so there are no sites for oxidation therefore it has an exceptional shelf life. 3. It consists completely of saturated fatty acid side chains so it is more like animal fat and absorbs more readily into the skin making it ideal for massage therapy. 4. It washes out of massage table sheets easily with no staining. 5. It is an ideal product for natural perfumers who don't want to use alcohol as a carrier, because it is the lightest of all the carrier oils. It will pass through a pump sprayer. 6. It leaves skin feeling smooth without that greasy feeling. 7. It's still cost effective, one of least expensive carrier oils. 8. It is completely soluble with essential oils and compatible with soaps. 9. It is great as a single carrier or in combination with other, more expensive carrier oils to manage cost and improve shelf life of the final product. 10. 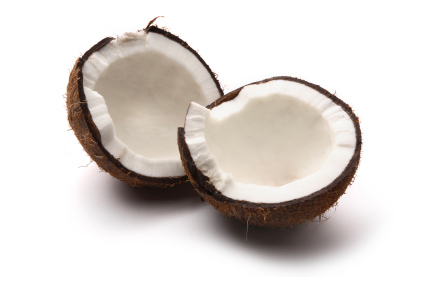 The Oil Shop's Fractionated Coconut Oil is colorless, odorless and Kosher/Food Grade.